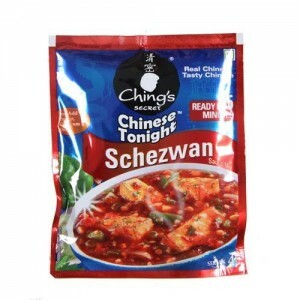 Narayan Venkatasubramanyan (that’s an awesome last name) sent me a link to a popular Indian company called Ching’s Secret, which sells Chinese dishes to prepare at home, including Schezwan dishes. When the taste of that province was introduced in India, some Indian decided that it was silly to add a “z” after an “s”, decided it was some horrible misspelling, and “corrected” the spelling to the more logical-looking “Schezwan.” and then proceeded to pronounce it as it was written. these days, India is full of restaurants with menus with “Schezwan sauce” and diners who loudly demand the “authentic” shay-zwan flavour.